A beautiful villa on the water, the only house in Aruba that is really on the water. It has 3 bedrooms, 1 office that can be converted into an extra bedroom, 3 bathrooms, a full service kitchen, laundry room, front porch, pier, a large deck 7 feet above the water, a liquor lounge, a relaxing dinner area, and a bbq grill. A total of 5000 sq ft of home away from home, fully decorated with all the artistic works of the owner. We offer free transportation from and to the airport for when you arrive and go back. Ask us for any additional service you might like, such as daily maid service, private Chef, or any type of rentals. Walking distance to The Old man and The Sea restaurant, Zee-rovers (local fisherman’s restaurant and bar) and supermarkets. 10 minutes away from Baby beach. 10 minutes away from Oranjestad and 25 minutes away from the high rise hotels. This place is unique because of its beautiful deck hovering above the Caribbean sea overlooking the sunset everyday. No need to go to the beach, you’re already on it. Hear the sound of the sea …….priceless. Ideal for honeymooners, small families, quick getaways, snorkeling, swimming etc. Guests will have access to the complete house including: Wifi, cable TV, DVD players, Kitchen, Deck, All 3 bathrooms and laundry room. Should you have any special request please send us an email and we will respond accordingly. We will pick you up from the airport and bring you back when your stay is over. The house will be vacant when you get here. Guest can call us up for any assistance, but we respect our guest’s privacy very much. Let us know what else we can do for you. Savaneta is the former Capital of Aruba. From 1000 AD to 1636 when Aruba was occupied by the Dutch, to when Aruba gained independence within the dutch kingdom 1986, remnants of it’s history can still be seen in it’s diverse culture in this neighborhood. 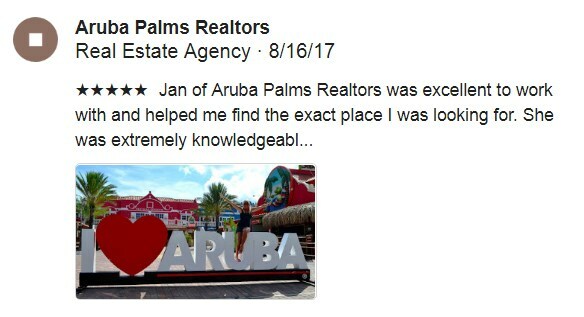 Truly an Aruban location and experience. One of the safest place on the island. You can take a stroll at night and people are very friendly to give you advice. Everyone knows everyone here. The streets are well maintained and is less than a minute drive to the main road that will take you to Baby Beach (make a right) or Downtown (make a left). Taxi’s regularly pass by because of local restaurants nearby, but best if called ahead. Great for snorkeling and swimming.